The Warriors’ Sithembile Langa picked up career-best figures of 5-61 against the title-chasing Lions to set up a thrilling last-day finish to the CSA 4-Day Franchise Series, and earns Wednesday’s Turbo Bowler award, writes ANITHA MADIKIZELA. The 23-year-old fast bowler from East London is playing only his 14th first-class match, but made a vital contribution to the Warriors’ bowling attack to help stem the Lions’ rapid scoring and to hopefully restrict the visitors’ final innings target to less than 350 runs. Langa’s fifer included the wickets of the Lions’ top three batsmen, with the dismissals of Stephen Cook (28 off 56 balls, 3×4), Dominic Hendricks (30 off 47 balls, 3×4) and Wihan Lubbe for a two-ball duck as the home team was reduced to 80-3 in 23 overs. 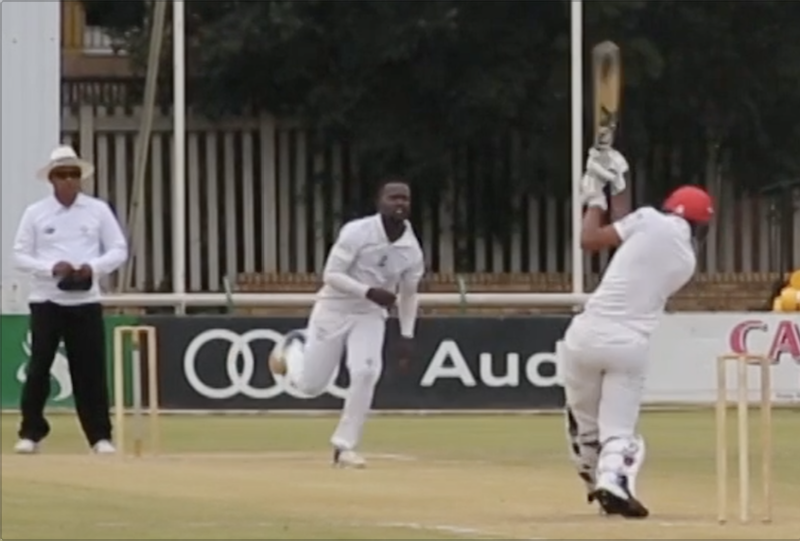 He then returned later in the innings to account for the dangerous Delano Potgieter (145 & 28), as well as tail-ender Malusi Siboto (8 off 25 balls, 1×4) to reduce the home team to 277-9 before they closed the day off on 292-9 for a lead of 329 runs, with one wicket in hand. It remains to be seen whether the Lions will resume on Thursday with Kagiso Rapulana (114) and Nandre Burger (4) at the crease and looking to extend the already substantial lead, or whether the Lions will be daring enough to declare and back their bowlers to secure the win that could potentially make them champions, depending on results elsewhere.